Chevrolet Traverse sales increased in the United States and in Canada in September 2017. In the United States, Chevrolet Traverse deliveries totaled 11,943 units in September 2017, an increase of about 51 percent compared to 7,922 units sold in September 2016. The results represent the Traverse's best month ever. They also include an increase in retail sales of 104 percent. In the first nine months of the year, Traverse sales increased about 3 percent to 88,864 units. In Canada, Chevrolet Traverse deliveries totaled 505 units in September 2017, an increase of about 46 percent compared to 346 units sold in September 2016. 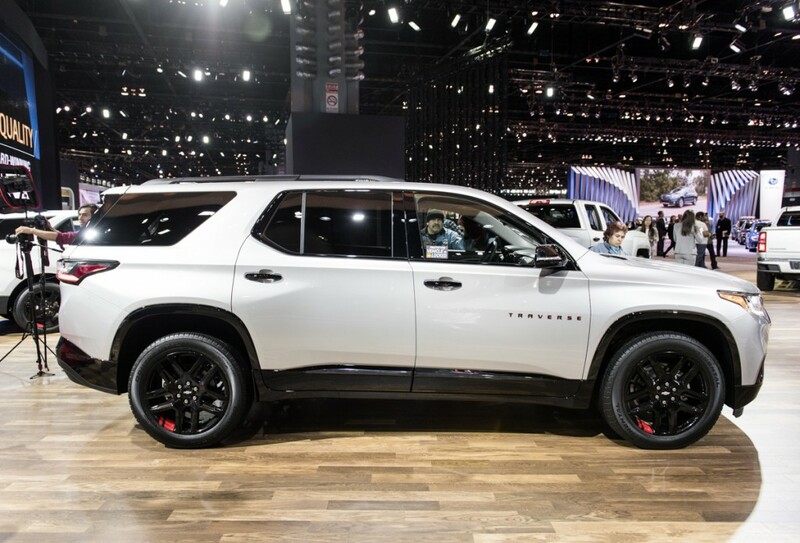 The results represent the Traverse's highest September sales since at least 2014. In the first nine months of the year, Traverse sales decreased about 4 percent to 3,217 units. The Traverse recorded the highest percentage gain in its segment in September, a circumstance that also took place in August. The performance puts the Traverse in third place in its segment. Even so, sales of the Toyota Highlander (which technically is a large midsize crossover) and Ford Explorer beat out the Traverse by roughly 8,000 units during the month. The Traverse did, however, beat out the Honda Pilot, Nissan Pathfinder, Dodge Durango, Volkswagen Atlas, Buick Enclave (which shares the Traverse’s platform), and Mazda CX-9. It also beat out the Hyundai Santa Fe, whose sales figures can be misleading, since they include both the Santa Fe full-sizer with three rows and the Santa Fe Sport mid-sizer with two rows (which is smaller and has a much lower price). Note: Hyundai Santa Fe figures include “regular” Santa Fe three-row model and Santa Fe Sport two-row variant, as the automaker does not break out the figures for the two models individually. The mainstream full-sizecrossover segment grew roughly 23 percent in September, with all offerings except for the Nissan Pathfinder seeing growth. During the first eight months of 2017, segment sales increased 6.63 percent to 777,289 units, with Toyota, Ford, Chevrolet, Nissan, Mazda and Volkswagen seeing growth, while Hyundai, Honda, Dodge and Buick saw sales decrease. But how about comparing the enclave to the MDX and QX60? When I plan to sell Chevrolet Traverse to South Korea next year, I would like to launch it with a plan to sell it at about 5000 a month. The Kia Carnival, a competitive model, is also a market that sells more than 5,000 cars. I would like you to prepare enough quantity and pay attention to sales as it is the time when the demand for high-priced full-size SUV is exploding. However, it should be noted that the sale price and assembly state. If you made it like the Chevrolet Impala, you will not have the chance to sell it again. South Korea is the most demanding customers in the world. It is not difficult to sell 10000 units per month if the marketability is good. South Korea can predict how difficult it is to see the sales of Benz and BMW are bigger than Japan.